Ad mediation is a frequently requested app monetization feature, but it usually requires that you build in support for multiple ad networks in your app. That can be a lot of work. Fortunately, Appodeal builds their network of ad provider SDKs directly into their plugin for you — simply include the Appodeal plugin and get the benefit of every ad network they support. One benefit of ad mediation is that you should get a 100% fill rate — never miss an ad! Appodeal’s service delivers higher-paying ads first, and they also analyze all of the ads available, factor in the user’s behavior, and find the best ad for the moment. You just need one account and one plugin (plus support plugins on Android) to benefit from all of Appodeal’s partners. They offer monthly payouts as well as on-demand payouts. “Appodeal is excited about our new partnership with Corona Labs, as it will open new doors and break the many restrictions developers often face. We look forward to helping Corona developers monetize their apps with ease while maximizing their earnings,” says Pavel Golubev, Appodeal CEO & Founder. 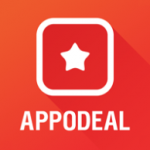 To begin, register with Appodeal. Then, create an app for each platform you want to run ads on. Currently the Corona plugin supports iOS, Android, and tvOS. You will get a different application key for each platform. Finally, include the required changes in your build.settings file and implement the plugin much like any other Corona ad provider (see our documentation for details). See the Corona documentation for more usage details. Have any questions or comments? To discuss this wonderful addition to our suite of monetization plugins, please join us in the Corona community forums. I’ve created one account in Appodeal’s web site but Corona was not listed as one of the supported frameworks. Please update it. Appodeal has not updated their integration wizard but it is not needed. Go to apps and you should see the app you created. Copy the key and follow the documentation on the corona site.